You are currently browsing the tag archive for the ‘joy page’ tag. Talking of Casablanca, news recently emerged that the actress Joy Page has passed away at the age of 83. 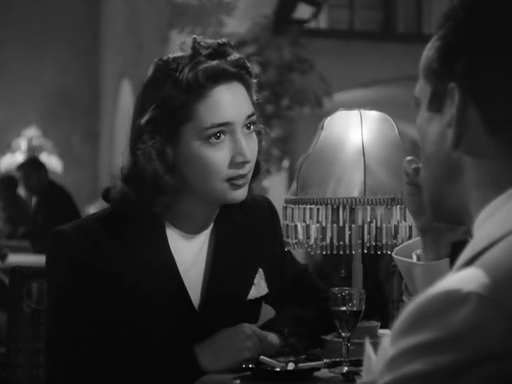 She had a small but memorable role in the film as the young Bulgarian wife who pleads for Rick (Bogart) to help her. Although Rick has already made it clear that he sticks his neck out for nobody, he allows her husband to win at roulette in order to pay for the visas they so desperately need. Page was only 17 years old when she got the part, but it no doubt helped that her mother had recently married studio head Jack L. Warner. Page went on to have small roles in a limited number of films, but also made a variety of television appearances throughout the 1950s. She was one of the last surviving members of the Casablanca cast. It is said that the only living actress from the film is Madeleine LeBeau, who played Yvonne, the bitter young beauty who Rick forces from his Café.